Sometimes we quite frankly, need to be educated and when I met with the incredible organisation, Smart Works; that's just what they did. They opened my eyes to something I had honestly never thought about and made me realise just how privileged I am (in more ways than one). Smart Works is a charity that provides out of work, on low-income women, the chance to kit themselves out with amazing quality workwear so that they are able to go to interviews appropriately dressed. The charity doesn't just dress these women though, they go a lot further than that. 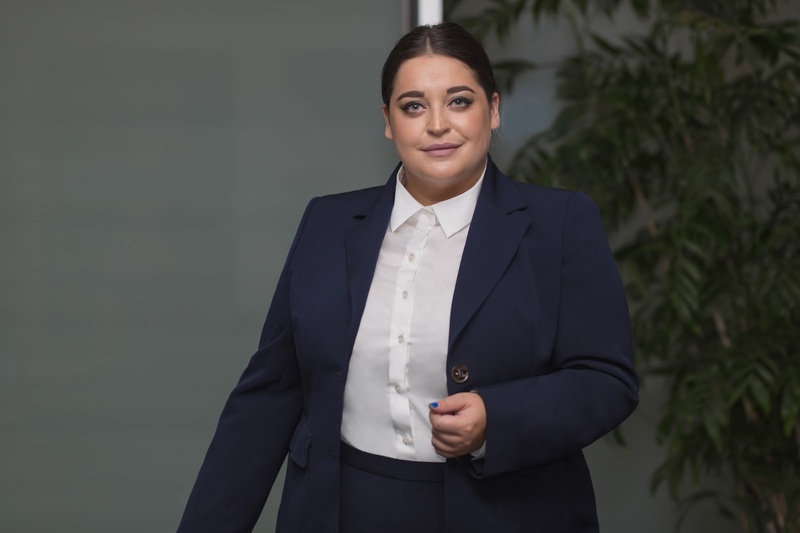 Smart Works provide every woman with styling advice as well as interview training so that they can face their interviews with confidence and self belief. No matter who you are/what background you're from, if you're plus size; looking for work wear is extremely hard. I am asked time and time again to do workwear posts and luckily for you guys, navabi has come up trumps. 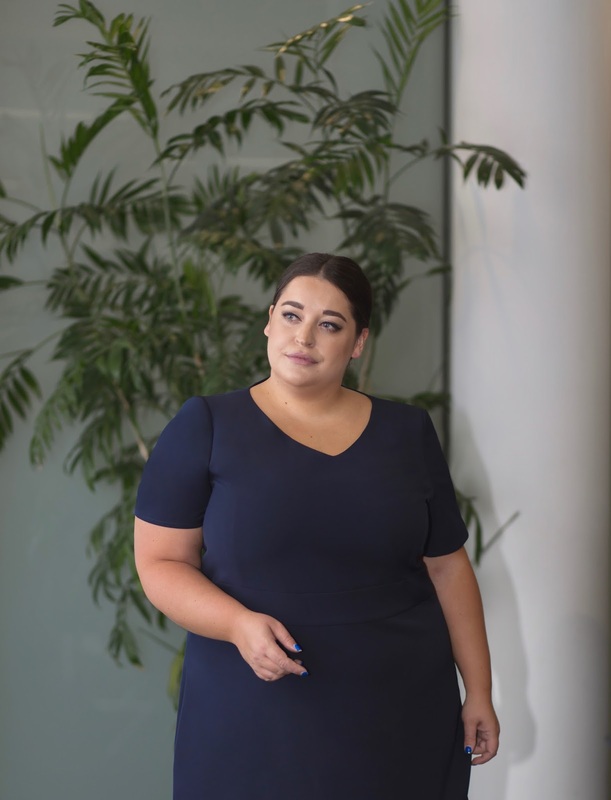 Buy selling this capsule collection of shirts, dresses, bottoms and blazers, navabi not only stocks fab work wear but they also donate a piece everytime one is sold from this 7 piece collection - how fab is that? - They are open to anyone who identifies as a woman. - There are over 150 Stylists available within the organisation that help to dress each woman. - Smart Works listens to each woman and helps to dress them appropriately, taking religious and personal needs into account. - Each woman gets to keep their interview outfit as well as getting to go back to the charity to pick a - further 5 pieces to wear if they end up securing a job. - The Smart Works Stylists don't just help to dress the women, if the particular garments they like, don't fit; the stylists will help to alter the items - making them perfect for the big day. - After the women have found their perfect outfit, volunteers who all have backgrounds in HR, help the women with interview techniques. - Even if the women don't get the job they are going for, Smart Works offer some more support post interview. *This post was written in collaboration with navabi. I love the looks and I love the cause, but I don't love the prices. I thought I wore good clothes. I'm a careful shopper and I look for quality in fabrics and make, but these are way out of my league. Guess I'll continue to shop elsewhere and donate things on my own. This is such a great cause and helps people get that confidence boost. It's great that Navabi makes donations but I still think a majority of their items are on the pricey side.